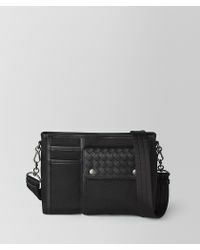 Founded near Venice in the late 60s, Bottega Veneta has built its good name on the production of meticulously handcrafted leather goods. 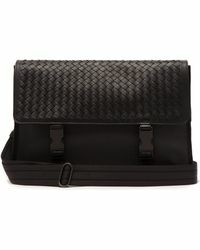 Today, the house has expanded under Creative Director, Tomas Maier and has established itself as a leading designer fashion brand, offering chic men's clothing, shoes and accessories. 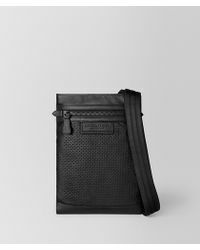 With an emphasis on fabrics, fabric development and carefully considered construction as well as fit and style, Bottega Veneta takes high-end modern menswear to the next level. 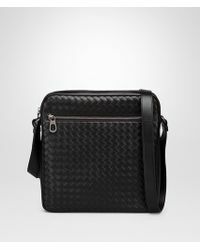 Our selection of men's Bottega Veneta messenger bags is made up of beautifully-finished leather satchels, textured over-the-shoulder bags and contemporary briefcases with extendable straps. 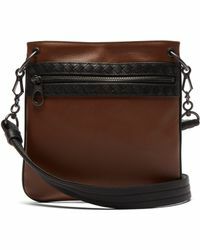 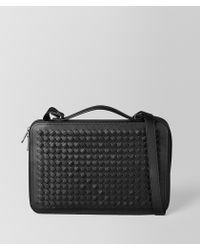 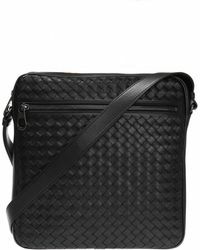 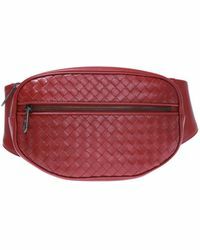 Showing 310 results for "Men's Bottega Veneta Messenger"